Wimo notamment commercialise ce genre d'article. acheter un élément OLED de rechange pourrait vous servir dans le futur. N'attendez pas la disparition de ce genre d'article sur le marché pour vous décider. I have a OLED 's problem on my 2011 FTDX5000. Yes, mine finally went away, but they will probably be back. They come and go. Not great for an expensive radio. It’s still not clear that the problem has even been solved, but a replacement for the FTdx5000 can’t be that far off. I was expecting an announcement of a replacement at Dayton this year. 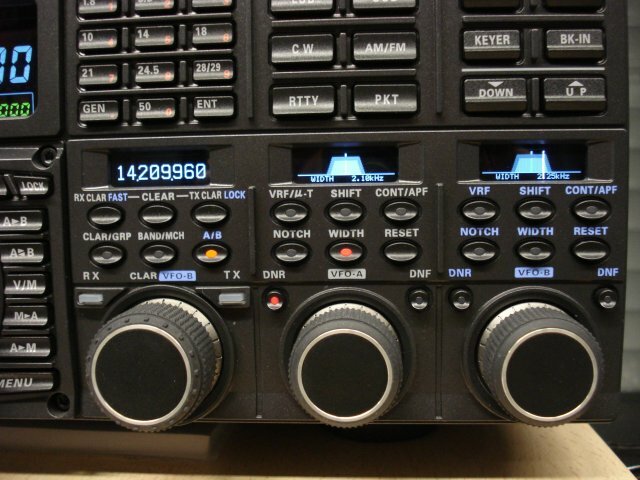 Still, the FTdx5000 is a great radio, though the white line problem is very irritating. Just to let you know, my early S/N 9N010018 FTdx5000MP just got white lines after 6.5 years. The middle and right display are affected. The right one has now disappeared.